We Are Based In Burton on Trent and hire Bouncy Castles And Inflatables In area's all over Burton on Trent, Swadlincote, Derby, Derbyshire, , Ashbourne, Uttoxeter & surrounding areas. We Offer Bouncy Castles, Giant Slides And Inflatables to Hire From Us All Year Round For All Types Of Occasions, Such As Children's Birthday Parties, Corporate Events, School Events, Family and Friends BBQ’s, Team Building Special Occasions, Fund Raising Events, Weddings And School Holiday Camps. Our Bouncy Castles And Inflatables Are Suitable For Both Indoor And Outdoor Venues. 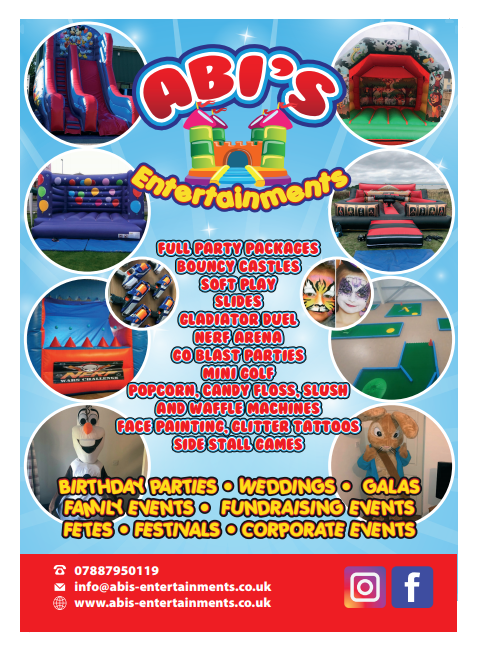 We Pride Ourselves Of Having The Best Bouncy Castles, Inflatable Games And Soft Play To Hire At Affordable Prices! All of our hire prices include local delivery, set-up, dismantling and collection. We also offer a cancellation option in the event of bad weather if the venue is outdoors. When you hire a bouncy castles from Derby's No1 Bouncy Castle hire, not only do you receive an incredibly springy, high-quality inflatable structure, but we’ll also deliver it, perform a total safety inspection, inflate it, and secure it, and when you’re done hiring your bouncy castle we’ll deflate it and take it away. It couldn't be easier! Please take a look at our Facebook Page (Link) to check out the reviews left by our customers.